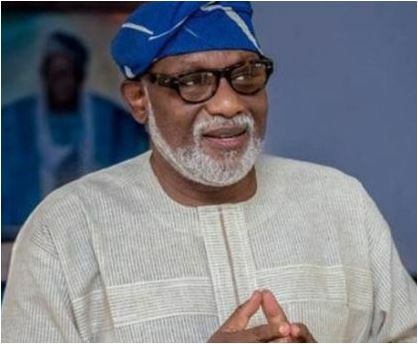 Ondo State Governor, Rotimi Akeredolu has asked youths interested in contesting the Presidency in 2019 to wait till 2023, before going forward with their ambition. He said the youths would have to wait till after President Muhammadu Buhari, who has expressed his interest to seek a second term in office, completes his tenure. Akeredolu spoke on Sunday at the 2018 Youth Day celebration, held at the Adegbemile Cultural Centre in Akure, the Ondo State capital where he said if youths want to make any desirable change, he is ready to support them to make the nation better, noting that they can always challenge the status quo with constructive criticism. He said: “let me state it that the youth will have to wait till 2023 before running for the Presidential seat, because this is when Buhari would have completed his second term in the office by God’s grace. The older generation may not want to allow you (youth) because they will continue to dream dreams. But you can beat them to it if only you can see visions with your vision and your intellectual capacity”. Governor Akeredolu said, although, he would support the #NotTooYoungToRun bill, which has now become a law, he said youths must first learn to respect their leaders. He also promised to support youths to take up leadership positions, adding that they are the future leaders of the country. According to him, there is the need for Nigerian youths to come up with new ideas and initiatives that can develop and move the country forward. He explained that his sons, who are technological savvy, have always been leading him in all decisions of the state as they are well informed. Akeredolu also advised them to disengage themselves from negative influences that could ruin their future as they advance in society.